Forums » EVENTS » Events? What happened to the Events? I know there was lots of bugs to work on after the Steam launch, but did everyone go on vacation after that? It seems everything has died on Atys! What happened to the aforementioned "Year long events" for each race on Atys? What happened to the additions of content to the game teased at? What happened to the new rites that were comming? We have many new subs now, so where is the benefits of that? Who do we have setting up new things, or graphics or level design ideas or Dev stuff or Programming, or mission? Did everyone quit? Lets pay for a new programmer or more if it is necessary. We want this game to survive and evolve and progress! What is going on? As a 6 1/2 yr loyal player, I am getting frustrated myself. When was the last Ranger meeting let alone the Ranger Rite. When was the last Marauder meeting or Event? That Organization and Ranger organization is dead now like before the Steam release. I log on and me and only maybe 1 other ranger is ever on. Lets get organized and start working! last ryzom forge meeting was yesterday. We just had Atys Games event (or doesn't that count? :O). You got a point though that many people were on holiday and because of that everything slowed down. *Tamarea: Aileya has made a very nice podium for the reward ceremony for the Atys games. Thanks to her! Sad to say have not seen you name on any of the event Naema. Ryzom is not dead we have had the Atys games have you played them ? No you have not seen your name on any of the event for Atys games. Ryzom will do the events when they are ready, Rangers had a meeting last month. It is not Ryzom fault if the no Rangers are have left. 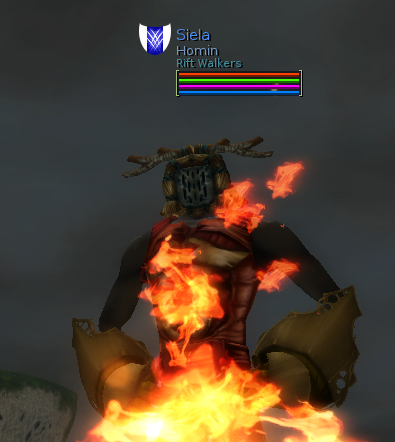 Thank you for the information on progress and explanation Siela. I went to the Forge meeting although i was a bit late. From past experience, those meetings have lasted a long time, so i expected to have someone at least still be there. However, it must have been a real short one since it was already over and people were gone.That is my fault, I hope they continue to have regularly Monday meetings then. The Atys games were an unexpected suprise, and I applaud the effort put forth in them. Yes, I was not in any of them, nor did I participate. They are not my sort of thing and I was not interested in them. However, it is commendable! The events i was talking about and content are things that have been told to us months ago. (Please see above). Things like 'Year long events' for each race, new rites, Also I think there was something about Mek taming. There was a few other things teased at too. I cannot fine the post atm. However, I think Siela has cleared up for me some of my concerns as to the progress, so again I say thanks. I assume the RP events were put on hold because of holidays and also the Atys games. I'm also not a fan of OOC events like the olympic games, halloween, etc. But most other players like them, I suppose. Thanks for flooding the calandar with events now, I realize you guys were busy so I apologize. Cheers to the new game developments and thanks :) Now, if I can just get away from work to maybe make some of the events, then i will be happy XD!